A friend of mine has been dealing with chronic and debilitating back pain issues. She’s tried most of the conventional (non-invasive) approaches. Nothing has worked. Her primary care doc decided to send her to a naturopath, who asked her to do an elimination diet. Oh, and she suggested that she recruit a friend to do it with her, for moral support. So, for the next 10 days, I’ll be joining her in living off of an extremely limited diet. In addition to my typical gluten-free/dairy-free restrictions, I’ll be adding nuts, nightshades, most seeds, all animal products, dried fruits, very starchy vegetables, and tropical fruits to the list of forbidden foods. What will I be eating? Vegetables, vegetables, and more vegetables. A couple of fruits a day. Unrefined coconut oil. Flax seed, pumpkin seed, chia seed, or sunflower seeds. We officially start our 10 days tomorrow. But, today is prep day for me, which means I’m going to stick as closely as I can to it today, while I try to figure out just how much food I’m going to need to eat each day. Hint. It’s going to be a lot. The naturopath wants all the seeds we eat to be ground. So, today I made a pumpkin seed coconut oil butter, and added it to my morning green smoothie. I already miss my almond butter. Put all ingredients in a blender and blend until smooth. Serves 1. 168 calories, 8 grams fat, 6 grams protein, 6 grams fiber, 12 grams sugar. Put all ingredients in a food processor or high speed blender and process until smooth – about 15 minutes in a food processor. 24.5 servings. Serving size 1 tablespoon. 8 grams fat, 3 grams protein, 1 gram fiber. For more healthy weekend eats, check out Wellness Weekends. 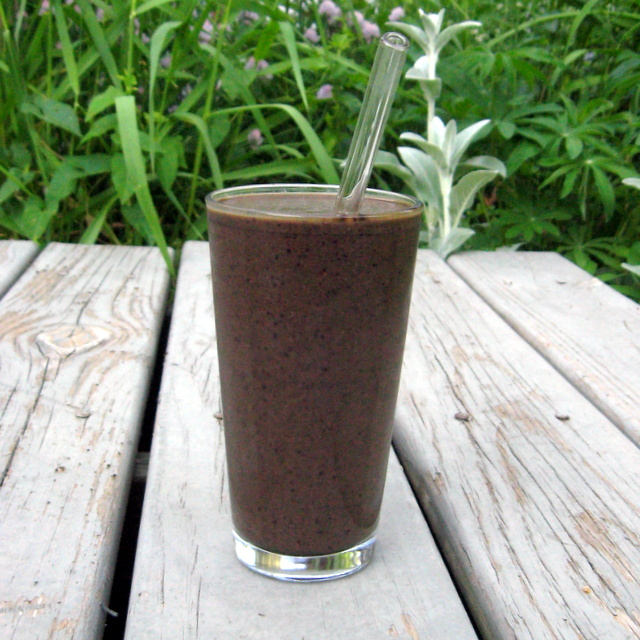 This entry was posted in blueberries, breakfast, coconut, drinks, grain-free, nightshade-free, nut-free, spinach, vegan and tagged allergen-free, recipes, smoothie, vegan. Bookmark the permalink. 8 Responses to What we do for friends…. I immediately thought of you, Amber! And, I am jealous that you get to eat coconut. (I’m really not sure why that one is limited.) Hopefully, this will help my friend, and I might find some new things that I like/that work for me/or that don’t work for me along the way, too. Thanks, Ricki. I think it will be interesting. I have a HUGE pan of root veggies roasting in the oven right now for lunches. And, I’m currently eating an apple with some pumpkin butter and mesquite powder. Massive quantity of broccoli slaw was consumed for lunch. It hasn’t been a bad food day at all, really. Just takes more prep time than grabbing a handful of almonds.